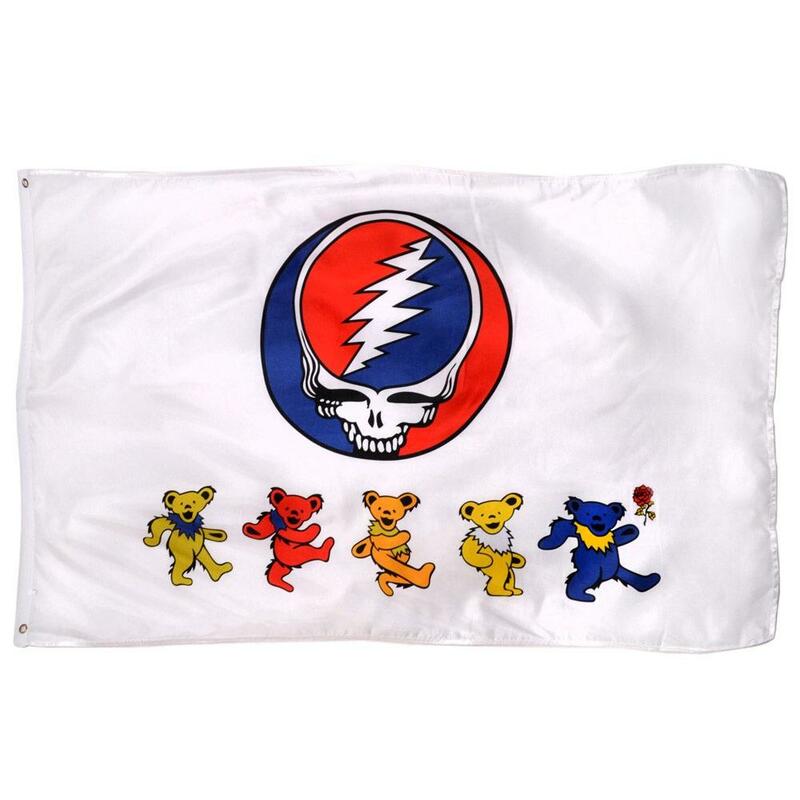 This Grateful Dead Flag has the dancing bears and a Steal Your Face design. It’s a nylon flag that measures 3’ x 5’ and has metal grommets for easy hanging. Great for a firm, or when camping at a festival.